Music video by Fat Trel ft. Tracy T performing What We Doing. 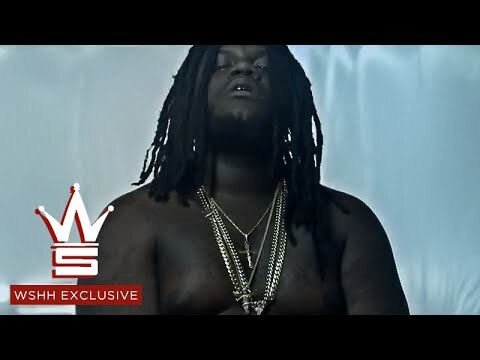 Fat Trel’s Gleesh mixtape dropped a year ago but the 2015 XXL Freshman hopeful is still getting run from the project with the video for “What We Doing.” Rapping with no shirt on surrounded by dancers and gaudy-sized bottles of Bel-Aire champagne, Fat Trel raps while a woman shakes her best asset next to him. The stripped down clip also cuts to telling a story about a man being robbed, but the inclusion of this seems out of place. Tracy T soon joins the screen and spits his verse from the track before the screen goes black. Check out the video above. Fat Trel has consistently dropped looses, singles and freestyles since Gleesh came out last year. Since the fall, Trel has dropped joints with Rick Ross, K Camp, Wale, and remixed Fetty Wap’s smash single “Trap Queen.”While we’re still waiting for his official MMG release, Fat Trel stays in the studio and, more importantly, has stayed out of trouble. Fat Trel was up for a spot on last year’s Freshman list and with another solid year under his belt, he’s being considered again and if he makes it, will join Wale and Meek Mill as MMG members who have graced the annual cover. With an MMG co-sign, numerous features, the stars are aligning for Fat Trel to drop his next project. Hopefully that will come sooner rather than later.